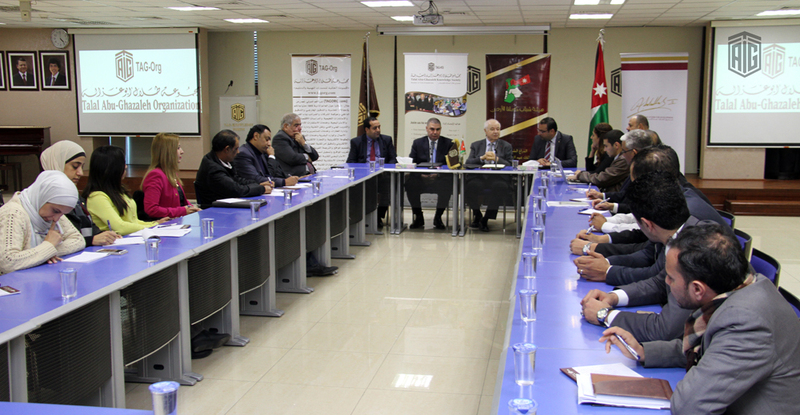 AMMAN - January 5, 2016 - King Abdullah II for Development (KAFD) and Talal Abu-Ghazaleh Knowledge Society (TAG-KS), member of Talal Abu-Ghazaleh Organization (TAG-Org), signed a Memorandum of Understanding (MoU) in the field of programs provided by All Jordan Youth Commission (AJYC) aiming at qualifying youth and building their capacities necessary for competing in the labor market. 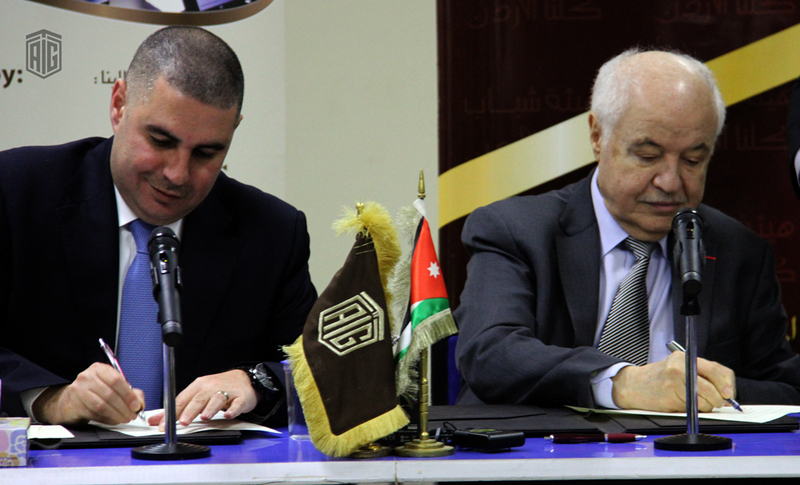 The MoU was signed by Saeb Al-Hassan, director of KAFD, and HE Dr. Talal Abu-Ghazaleh. 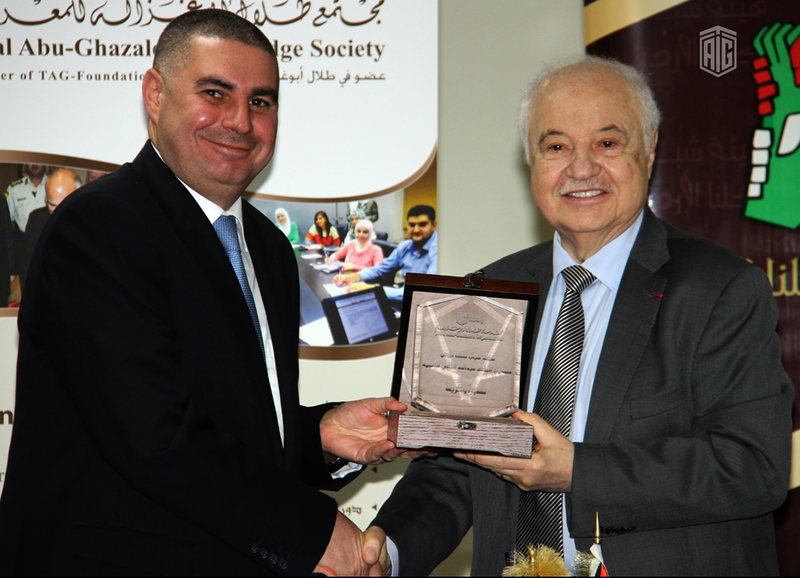 Dr. Abu-Ghazaleh expressed his pride in cooperating with KAFD which is one of the most significant institutions seeking to serve the local community members by providing education and qualification services, particularly for the youth. He stated that this cooperation emerges from the social responsibility TAG-Org bears through its continuous efforts to provide all services necessary for the various national institutions in conformity with the directions of His Majesty King Abdullah II in enhancing partnership between public and private sectors. He assured that the youth are builders of our future, accordingly, our role is to help them by providing the necessary infrastructure so that they can obtain the skills needed to lead the road of building a prosperous future of the country. Meanwhile, Al-Hassan said that this Memorandum is a part of KAFD’s interest in supporting the youth in conformity with the directions of His Majesty King Abdullah II toward enhancing their role and enabling them to contribute to the construction and development of the Kingdom through a package of various programs and activities, including six specialized programs to be implemented by AJYC in 2016. 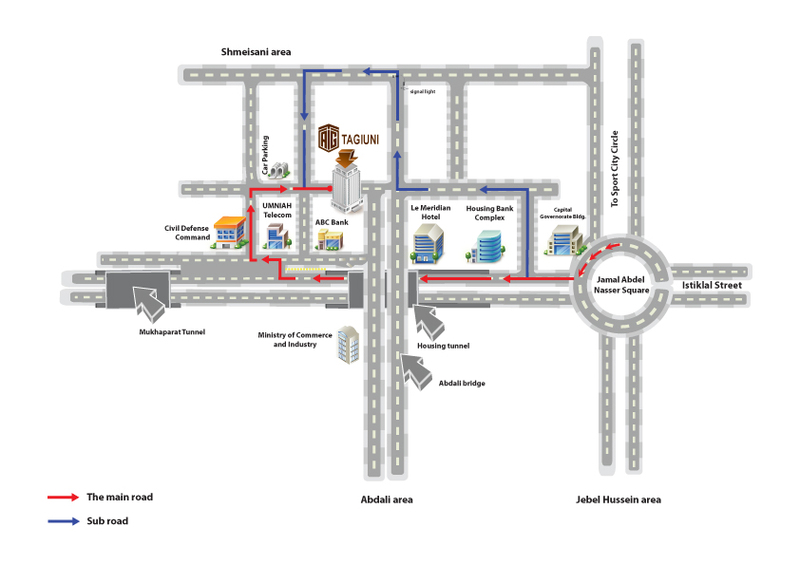 These programs will meet the needs of Jordanian youth with different capacities and interests. Al-Hassan assured that this MoU is complementary to cooperation with a leading organization such as TAG-Org to provide the youth of all governorates with the opportunity to develop their capabilities through specialized programs that meet their needs and competent trainers in the field of operating small enterprises and English language. This will enable the youth to encounter the economic challenges, indicating that cooperation will include the development of knowledge stations of AJYC in order to improve the quality of services provided to the youth and local communities. 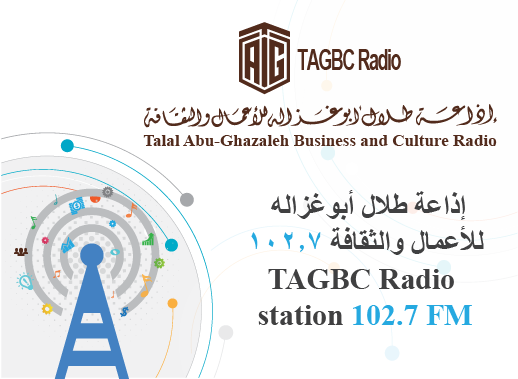 In cooperation with TAG-KS, AJYC implemented more than 61 training programs in the field of raising capacities of the Jordanian youth in English language with several levels in which 1373 male and female young persons from all governorates participated in. As well, 53 training courses in the field of Small and Medium Sized Enterprises (SMEs) management were held in the various governorates of the Kingdom with 1371 male and female young persons participated in them.